A "twisted" colorful collection of Crayola Twistables Colored Pencils. Over 65 pieces in a durable, portable carryall case! 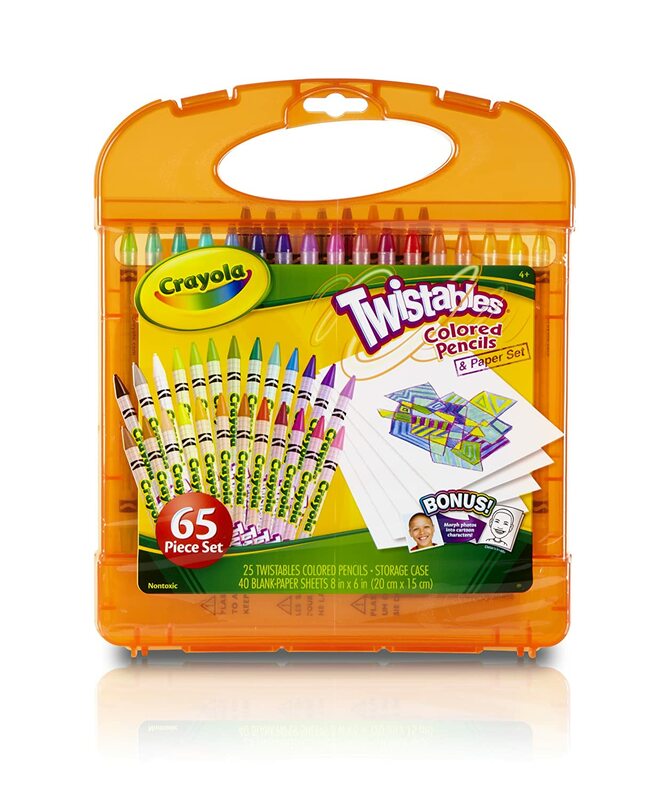 Includes 25 Twistables Colored Pencils and 40 sheets of paper. These colored pencils were cool! I loved how easy these were to travel with and the case they came in made them work very well for the budding artist. Also, in the fact that it came with drawing paper this kit can be used anywhere to make great pictures. Combine with that the fact that you get some great colors and you can make some very cool creations. My daughter and I had a lot of fun using this to create some great items for our fridge and she also has been giving some to other family members as well. Highly recommend this to all!